Sanford is using Smore newsletters to spread the word online. -Tap into the excitement that the students have with the words on the Morning Show. 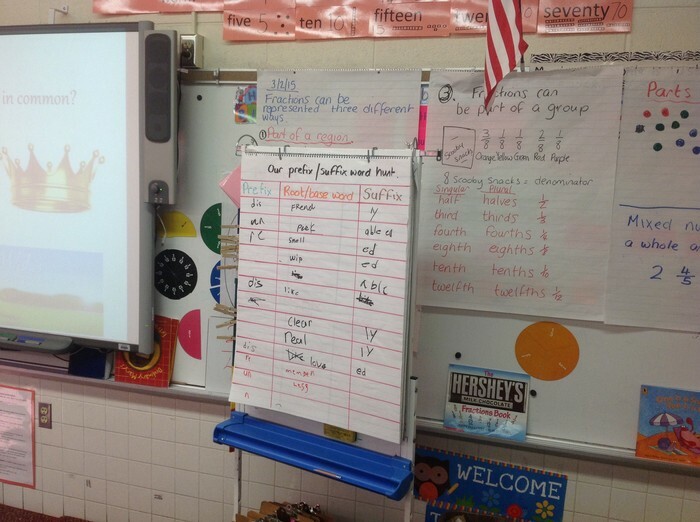 There is an entry point for all grade levels to break down the words, the roots, the prefixes, the suffixes, syllables and even alphabetic knowledge. 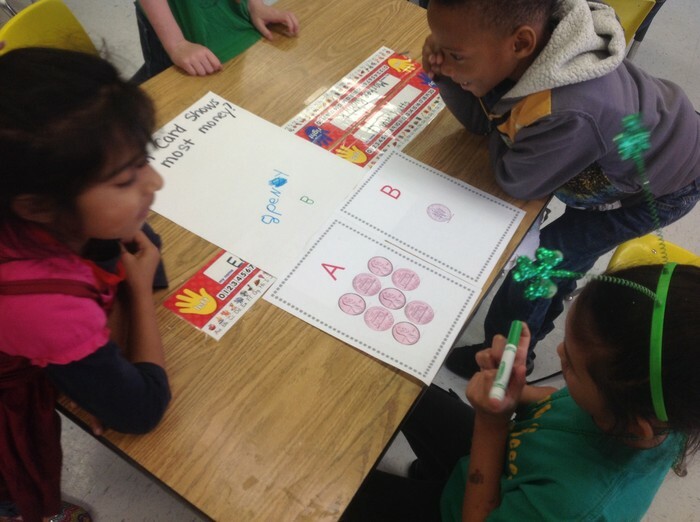 These skills are assessed, but they also help make better readers. Students in Fiona Crawshaw's class were finding prefixes, suffixes, and roots in their reading and posting them on the chart. 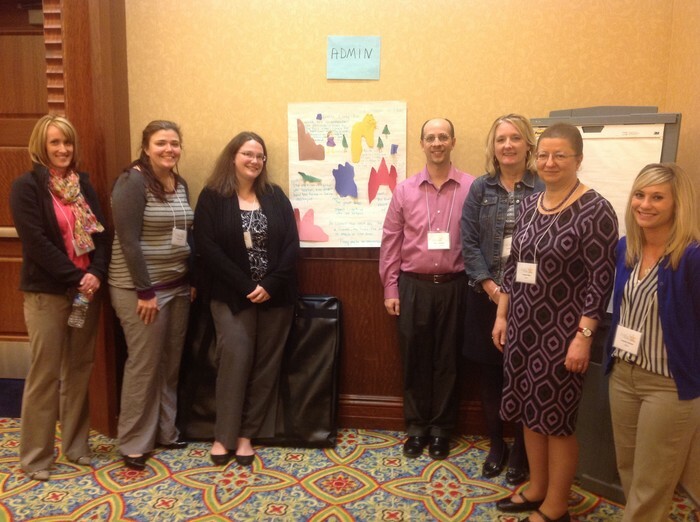 The Sanford team at the ExCELL training in front of our writing. We look forward to sharing the strategies we learned. Behind us is the story of Olivia Only a girl who made friends. 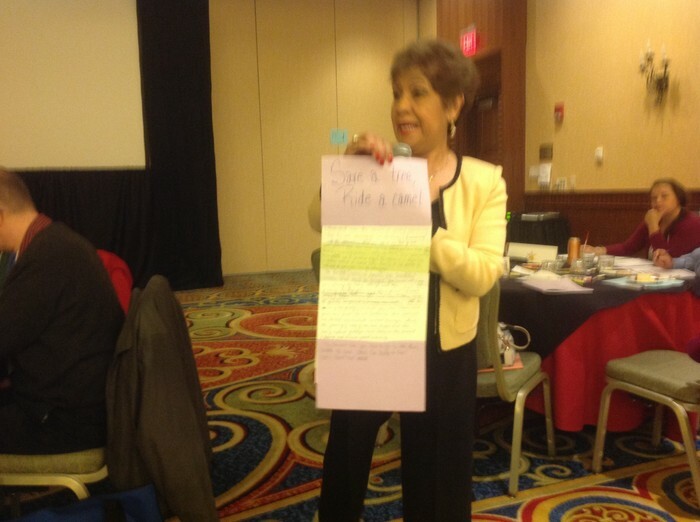 Another writing strategy from Dr. Margerita Calderon to target specific writing skills. Also, google Dr.Margarita Calderon's 7 steps to Vocabulary Development as we will learn about this going forward. 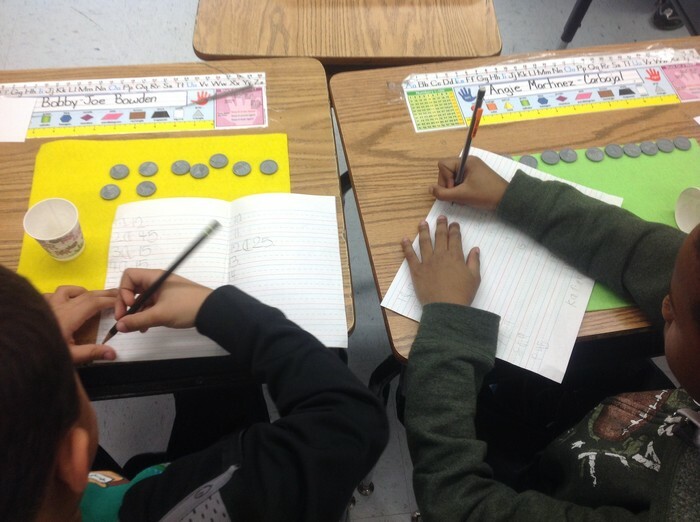 First graders in Krista Yarbrough's class rotating to different money stations, counting their money and recording their money. 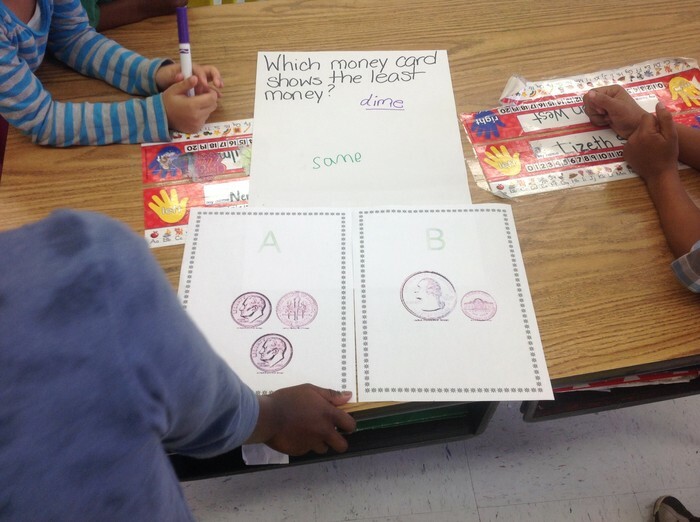 First graders in Kerri Nelson's class collaborating on some money questions posted throughout the room from a VADOE lesson. Another high-quality Jeff Joyner production. 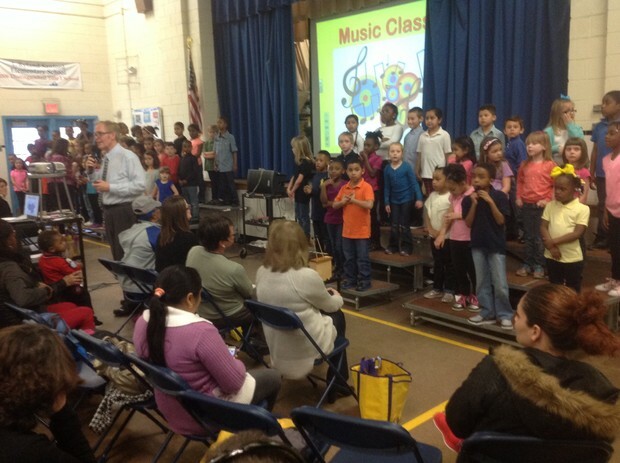 Here the first graders are singing and the next set had the second graders. 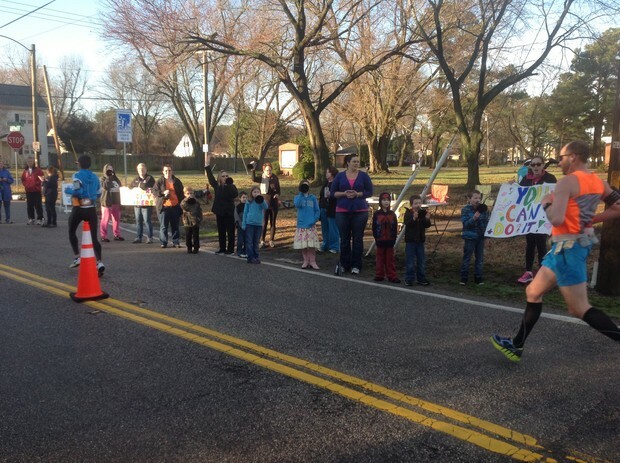 One City: Sanford families cheering the marathon runners on. Elayne Russell led the SCA in making posters and with Jill Spielberger screaming the runners on, a good time was had by all.